Recruitment Marketing Platforms: What’s the Value? For many modern recruiters, digital recruitment marketing is second nature. You’ve become accustomed to recruitment advertising, where open roles at your company turn into sponsored jobs across the web, and an understanding of how to optimize metrics like click-to-apply and cost-per-hire is ingrained in your DNA. But advertising isn’t the only piece of the recruitment marketing puzzle. After all, once you get those clicks and applies on your jobs, what happens to those candidates? Most often, they enter your recruitment marketing platform. But what is a recruitment marketing platform, and how can employers of all shapes and sizes find value in them? 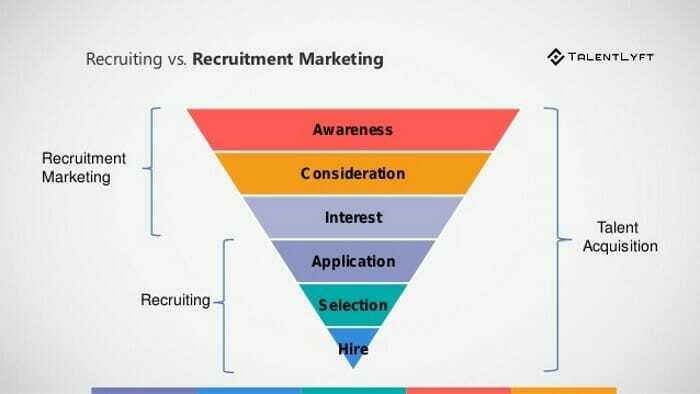 A recruitment marketing platform is an all-in-one tool that helps recruiters manage all aspects of their recruiting funnel, from sourcing candidates, to attracting active job seekers, to managing their employment brand. Recruiters have the ability to manage their candidate relationships, nurture job seekers through the application process, and proactively manage their jobs and applications. Recruitment marketing platforms often also include a means for businesses to house their career sites and employee referral portals. So, What’s the Value in Recruitment Marketing Platforms? Well, that depends on who you ask. There are numerous benefits to leveraging a recruitment marketing platform and their importance varies depending on an organization’s recruitment goals and hiring needs. Forman and Hennessy’s ideas behind the power of technology in recruitment illustrate the core benefit of using a recruitment marketing platform: communication with your candidates and job seekers in personal, authentic ways – at scale – to improve the way you recruit. Enable omni-channel recruitment marketing through ease of social media distribution and employee referrals. Looking at the list above, it would seem evident that these platforms can hold a lot of value for modern digital recruiters. But, not every agrees with that sentiment. For some, the advent of technology within recruitment has been unwelcome at best. Recruitment marketing platforms, rooted in data and automation, are seen as lacking the “human” part of “human resources.” When you put automation with recruitment, it’s been argued, you lose the ability to see the individual behind the resume. What’s more, the way that job seekers look for, and apply to, jobs is rapidly changing. Can software really keep up with recruitment teams’ growing needs in real-time? 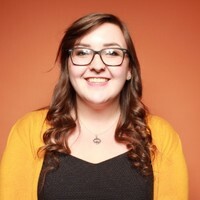 How do Recruitment Marketing Platforms (and Other Recruitment Marketing Tools) Support Your Recruitment Marketing Strategy? To really understand the value of recruitment marketing platforms, it’s imperative to think about how they actually tie into your company’s recruitment marketing strategies. After all, you wouldn’t find any recruitment software valuable if you weren’t using it to its fullest extent to meet your company’s hiring goals. You have to think about how the platform will help you and your fellow recruiters do your jobs better. First, what tools are you already using to reach out to candidates, both active and passive? An effective recruitment marketing platform will include an omni-channel approach, and allow you to talk to your job seekers where they live, work, and play online. This is done through two approaches: employment branding, and job distribution. With employment branding, a recruitment marketing platform will allow you to target candidates not with open requisitions, but with your company name. This can be done through content distribution, like blogs or whitepapers, but also through social media, paid advertising, and email (if they’ve signed up to hear from you!). Job distribution, on the other hand, is just that – using a recruitment marketing platform to actively sponsor your jobs online. This can be on various job boards, through your ATS, and also on your own company careers site. Next, think about all of the applications you receive. Each of those applications are full of candidate data – data that a recruitment marketing platform can help you leverage. Make sure that the systems you use allow you to utilize that data in your recruitment processes. The applications you generate can tell you a lot about the types of roles certain people are looking for, gives you insight into the jobs that receive the most (and least) applications, and enables you to build a candidate pool of interested job seekers who may be a fit for future open opportunities at your company. Make sure you have a platform that gives you actionable insight into your data. Finally, and most importantly, think about your candidates. Does your current platform provide a positive candidate experience, start to finish, or are there bumps in the road that may be impacting your apply rates? A recruitment marketing platform can help you ensure your application process is candidate-friendly with responsive mobile design, ease of submission (i.e., no account creation, and the less questions, the better! ), and communicate hiring process expectations once an application is received. Don’t leave your candidates in the dark, and don’t put them on the backburner as an afterthought in your strategy – make them the center of it all. A recruitment marketing platform can help you do just that. Despite some of the negativity around them, we believe that recruitment marketing platforms are the future of digital recruitment and can be paired with ‘human interaction’ throughout the candidate experience. And as candidates and recruitment trends continue to evolve, so, too, must these platforms.